Siegel Orthodontics has been creating beautiful smiles in the Lower Makefield and Hamilton communities for over 35 years. Dr. Lawrence Siegel and Dr. Molly Siegel, a father-daughter team, are proud to offer a warm and friendly, family-oriented environment where amazing smiles are just the beginning. When you’re ready to improve the look and function of your smile, please feel free to contact our conveniently located offices in Lower Makefield or Hamilton to schedule an appointment. 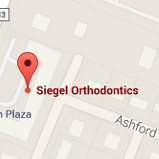 Let us welcome you into the Siegel Orthodontics family! 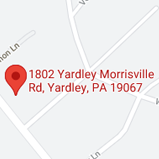 Serving Lower Makefield Township, Yardley, and Bucks County, PA (Pennsylvania) and Hamilton, Mercer County and Burlington County, NJ (New Jersey) - Drs. Lawrence and Molly Siegel are your orthodontic specialists, offering Invisalign, Invisalign Teen, and braces for children, teens, and adults.